The Supreme Court case of Birchfield v. North Dakota continues to dominate the legal headlines in Pennsylvania and beyond. This recent decision reviewed, evaluated, and clarified the need for search warrants in drunk driving cases (DUI). In these drunk-driving cases, results of chemical test are critical to the prosecution’s (district attorney) ability to establish, beyond a reasonable doubt, that a person drove while under the influence of drugs or alcohol. The Court in this decision evaluated the need for a search warrant in cases involving breathalyzers and blood tests. Seven of the eight Supreme Court justices (1 seat is vacant due to the death of Justice Scalia) agreed that imposing a criminal penalty for failing to take a blood test violates the United States Constitution. It’s important to remember that a state can’t make a law and its constitution can’t contain something that provides less protection than the US Constitution. This Supreme Court decision, therefore, effectively alters our Commonwealth’s law with regards to implied consent. Prior to the Birchfield case, it was a crime in Pennsylvania to refuse a blood test; this law, however, is now in question. While the Birchfield case addressed blood testing, it also held that breathalyzers don’t enjoy the same constitutional protections. Unlike a Breathalyzer, a blood test is “significantly more intrusive” according to the Court. A blood test requires a technician (or some other trained person) to actually pierce the driver’s skin and extract a sample from a person’s body and retain it. The Court found that since there is much less intrusion with a Breathalyzer, it doesn’t require a search warrant. Justice Clarence Thomas however, in his dissenting opinion, said that neither a breath test nor a blood test should require a warrant because alcohol naturally dissipates from the person’s blood stream over time and this therefore creates “exigent circumstances” to the search warrant requirement. Blood testing is often thought of to be more accurate than a Breathalyzer because the device requires a conversion factor in order to obtain a person’s Blood Alcohol Concentration–BAC. 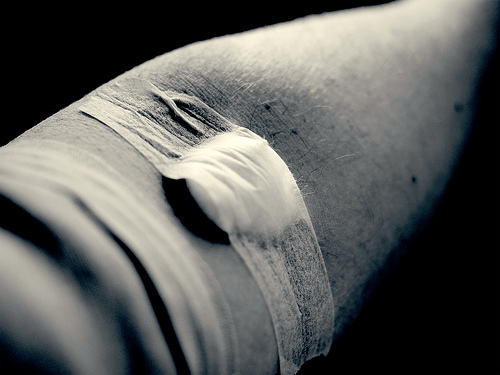 The Supreme Court decision has created a significant problem in cases where the prosecution attempts to introduce chemical results from blood tests. Because of this issue, jurisdictions like Pennsylvania will more than likely start using the Breathalyzer in the majority of its cases to avoid the search warrant issue. You may even see many eliminate the blood test altogether! Without a search warrant, the blood results are now inadmissible and the prosecution won’t be able to establish evidence of more serious DUIs. Remember that Pennsylvania DUIs are “tier offenses”. To obtain more serious DUI convictions, the prosecution needs those chemical results! For more information on DUI in Pennsylvania and New Jersey I encourage you to subscribe to my monthly newsletter, read my books, and watch for more updates on my blog.